Attention Deficit Disorder and Attention Deficit Hyperactivity Disorder (commonly known as ADD/ADHD) has created controversy for many years among doctors, parents and educators. Years ago Ritalin and Adderall were the common medications prescribed for children. Today there is a library full of meds and each one is unique to the child taking them. Ritalin has been the prescription drug of choice for ADD and ADHD patients for decades now, and has been considered overall safe for use among those prescribed. However, not all parents, doctors, and professionals agree that Ritalin is perfectly safe or effective. 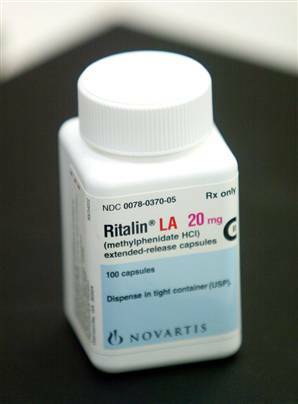 Read on to learn about important Ritalin facts and controversies. Ritalin use is growing rapidly: The number of children taking Ritalin is doubling every two years, and two million take Ritalin today. Production of Ritalin has increased by nearly 500% in recent years. Ritalin is not a quick fix: Ritalin takes several weeks to begin working, and it should be used in conjunction with corrective behavioral techniques. Ritalin can slow your child’s growth rate: The use of Ritalin may affect your child’s growth rate, weight, and final adult height, especially if your child is 6 years or less. You may have to temporarily stop using the medication from time to time. With supervised use, Ritalin can help with more than school: Ritalin is typically prescribed for help at school, but teens with ADHD can benefit from the drug in reducing smoking, drinking, injuries, and accidents. Ritalin can be dangerous with antidepressants: When combined with antidepressant drugs, Ritalin may lead to dangerous reactions including hypothermia, hypertension, and seizures. Once you start Ritalin, it’s difficult to stop: Many children who have started taking Ritalin suffered from side effects, and parents want to take them off. But parents may be targeted for child abuse and neglect when making this decision. There are resources beyond Ritalin: For those who are not eager to begin a Ritalin treatment, there are other therapies. Ritalin may not have long term benefits: Ritalin has not been shown to offer patients long term benefits or adjustments such as improvement in social skills or academic achievement. Abusing Ritalin is very dangerous: Children and adults who abuse Ritalin long term at high doses can suffer from increased heart rate and blood pressure, mood changes, delusions, tremors, and other side effects. Mentally unstable patients should proceed with caution: If your child exhibits emotional instability, especially drug or alcohol abuse, beware, as they may unnecessarily overuse Ritalin which can lead to dependence, abnormal behavior, or a reduced drug effect. Children have died from taking Ritalin: Ritalin is safe for many of its users, but it does have serious side effects that can result in death for some children. When abused, Ritalin can become addictive: Children and teens who overuse Ritalin can become addicted, however, with normal use, the risk for addiction is low or nonexistent. Ritalin can cause psychosis: Taking Ritalin may result in serious mental or mood changes, especially if your child abuses or overuses it. There’s a Ritalin black market: Even if your child needs Ritalin, he or she may not be taking it, and selling it for profit instead. And it’s often not their idea-many are approached by others who want to find out if they’ll sell or trade their medication. Ritalin must be gradually withdrawn: Stopping Ritalin suddenly can be dangerous and lead to unwanted side effects, so it’s important to be sure it’s right for your family before beginning a Ritalin treatment.